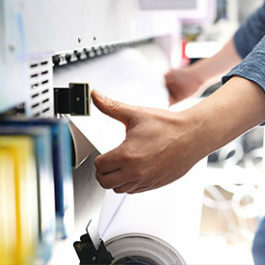 Book Binding Services | Let us help you create hardcover & softcover books! Our endless customization options mean that your book will undoubtedly be unique. 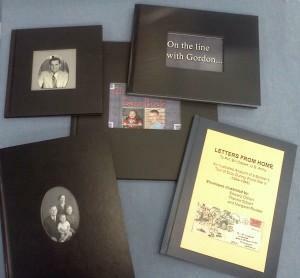 Our hardcover books (pictured above) are a very popular option. The landscape 11” x 8.5” covers come with a rectangular window cut into them that shows off an image or text from the first page of the book. The other standard sizes (8” x 8”, 8.5” x 11” portrait, and 12” x 12” ) do not come standard with a window. We can also design a custom canvas print to adhere to the cover with any image and text you request. We have a variety of colors available at various sizes but you can count on us having hard book covers in black, a great classic choice. The advantage of having a hard cover is definitely durability, but also a classic simplicity of design and affordability. 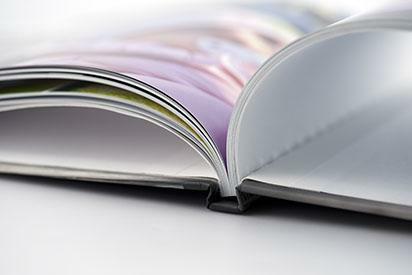 Most of our hardcover options allow you to add, remove or replace pages and rebinding in the original cover. 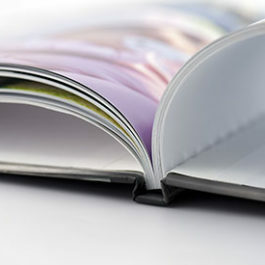 This binding option is very easy for us to do at our store at a moment’s notice as long as we have your cover in stock. Other book binding upgrades are also available including custom made photo covers, buckram, imitation leather or genuine leather binding. Some of our clients even have us help them format their books for publishing. See our video above for more examples. Bring in your mess! Send or bring your dusty boxes full of films, slides and prints. 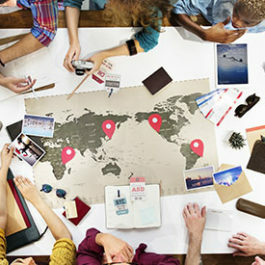 We’ll organize everything to tell the story you want to share. Leave A Legacy is your place to have custom cards created. We can use any image you have, large or small (slides, negatives, print photos, digital photos, art work, newspapers, posters and more). 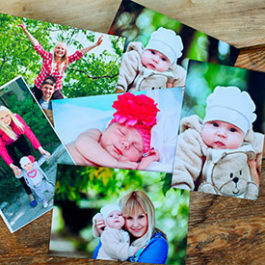 We provide the highest quality archival photo prints that will brighten your world and stand the test of time. 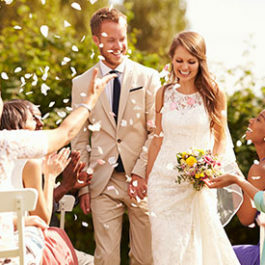 Our photographic paper is color accurate for lifelike skin tones and a traditional photo finish to make your special moments shine.